PUT A BOW ON IT...this shirt is a party! 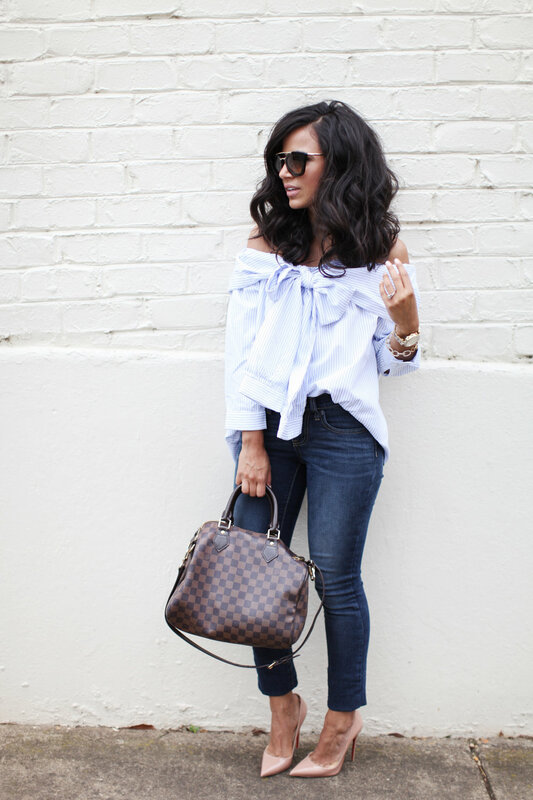 When I put this shirt on, I loved every detail about it from the stripes to the bow to being an off the shoulder top! Best part it is $19! You can shop the top here. I also want to talk about these jeans! If you keep up with the blog, you may have noticed how much I love Old Navy Jeans. I seriously love them! Their fit is perfect and they cater to all sizes, shapes and heights without breaking the bank. In this photo I am wearing the dark wash in the Rockstar style.